The ASA Show Coordinator, Holly McDonnell, is in charge of taking in requests and assigning all Meets. The ASA has three different levels of Meets, with Special Meets being the most commonly requested. Special Meets may be assigned to any Sanctioned Poultry Show where a request for one is made, at the Show Coordinators discretion. State Meets are limited to two per year per state and are assigned on a first-come, first-serve basis. The National Meet is limited to one per year, and cannot be held in the same place consecutive years. The location of the National Meet is selected by the Show Coordinator based on the most acceptable request. If no formal request to host the National Meet is made, the ASA shall set the meet to coincide with the APA National. ASA members showing at approved meets will receive 5 additional points for Special meets, 10 for state, and 20 at national meets- points are given per member, per meet attended. In addition, special awards will be given to the BB/RB of Special and State Meets, and special awards will be given to BV/RV and BB/RB at the ASA National. Meets may be requested by an individual, or on behalf of a show. 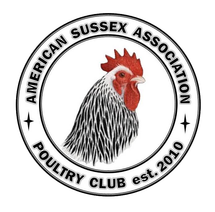 If an individual (Independent of a show club) is requesting an ASA Meet, it is highly recommended the individual contacts the Secretary for the show prior to the event to make them aware an ASA meet has been requested. This is a courtesy as the Show Secretary will be responsible for completing and returning the Show Report Form at the conclusion of the event. The show report form will be sent to the Individual/club requesting the meet once it is approved. ASA sanctioned meets are requested by mail by downloading, completing, and submitting the Meet Request form (below) at least 30 days in advance of the show date. You will be notified via email if your meet request is approved or denied. All meets are assigned at the discretion of our Show Coordinator Holly McDonnell. Approved Meets will be posted on the ASA website and discussion boards to encourage member participation, so please give as much advance notice as possible. ASA sanctioned meets are requested online by completing and submitting the Meet Request form below at least 30 days in advance of the show date. You will be notified via email if your meet request is approved or denied. All meets are assigned at the discretion of our Show Coordinator Holly McDonnell. Approved Meets will be posted on the ASA website and discussion boards to encourage member participation, so please give as much advance notice as possible. If an individual (Independent of a show club) is requesting an ASA Meet, it is highly recommended the individual contacts the Secretary for the show prior to the event to make them aware an ASA meet has been requested. This is a courtesy as the Show Secretary will be responsible for completing and returning the Show Report Form at the conclusion of the event. The show report form will be sent to the Individual/club requesting the meet once it is approved.